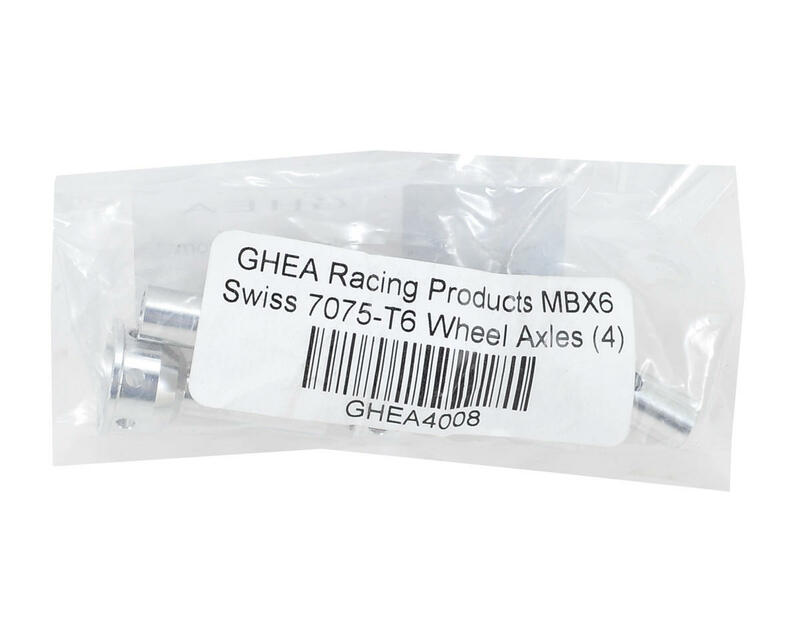 This is a pack of four optional GHEA Racing Products Swiss 7075-T6 Aluminum Wheel Axles, and are intended for use with the Mugen line of MBX6 1/8 scale vehicles. 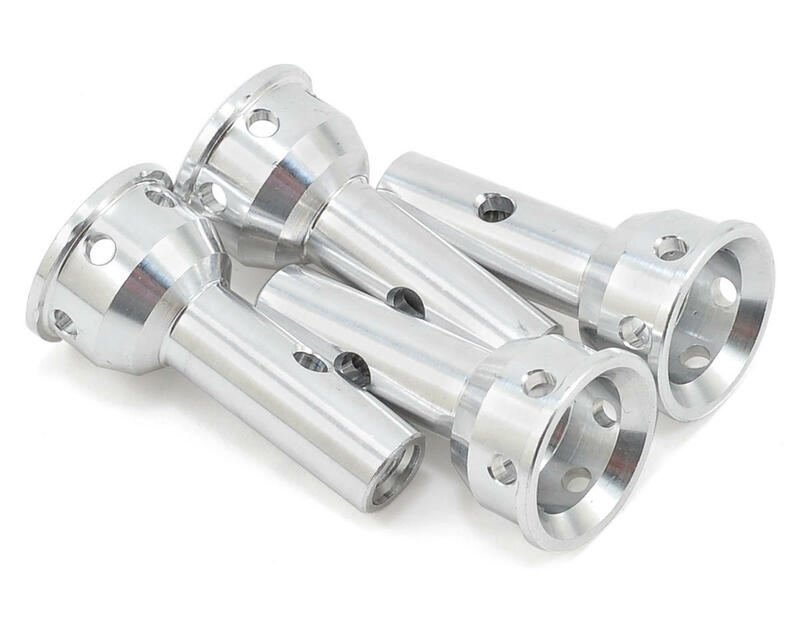 These axles have been beautifully machined from Swiss 7075-T6 aluminum for maximum strength and durability. But the real advantage of these axles is their extreme light weight - each axle weighs only four grams compared to nine grams from the stock axle. Add that up and these four axles shed nineteen grams of weight from the drivetrain. Combine these axles with the GHEA Input Cups (GHEA4001) for a total of thirty-one grams in reduced drivetrain weight!